General TV Channel / Telemicro is a television broadcast channel in the Dominican Republic. Telemicro has program alliances with both Univision and Televisa. In 1986, the slogan was Television Globalizada (Globalized Television) and Se Ve Mejor (It looks good). In 1986, Canal 6 Círculo independencia (Channel 6 Independence circle) was launched. The channel continued to broadcast television in the Dominican Republic with a variety of programs. 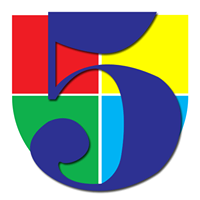 In 1997 Canal 6 announced the broadcasting of a second new channel "Channel 5", now known as Telemicro. Both channel 6 and channel 5 have business broadcast deals with two large Latin American Spanish broadcast network, Univisión and Televisa. In July 2016, Olympusat added the international version of the channel to its OTT platform, VEMOX.